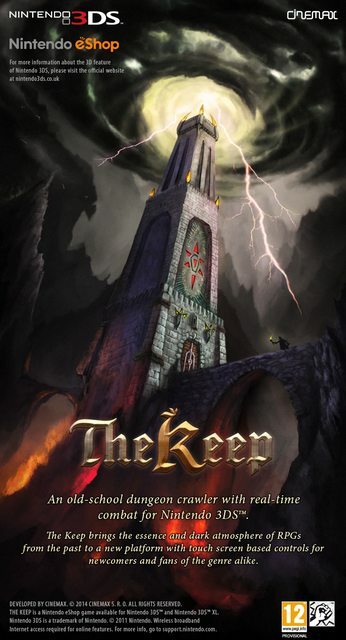 Cinemax has announced “The Keep” for the 3DS eShop with a release planned for summer. The Keep is a new, old-school dungeon crawler. Players will experience real-time combat set in a first-person view. The Keep has players taking on a quest “to explore caves and mines filled with monsters to slain and puzzles to solve underneath and surrounding tower of evil sorcerer.” Apparently, you should expect to die quite a bit.